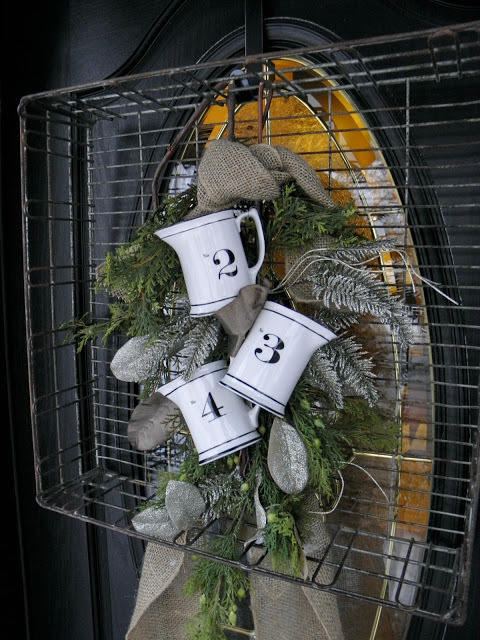 Vintage grate basket with numbered creamers, evergreen clippings, and burlap ribbon. 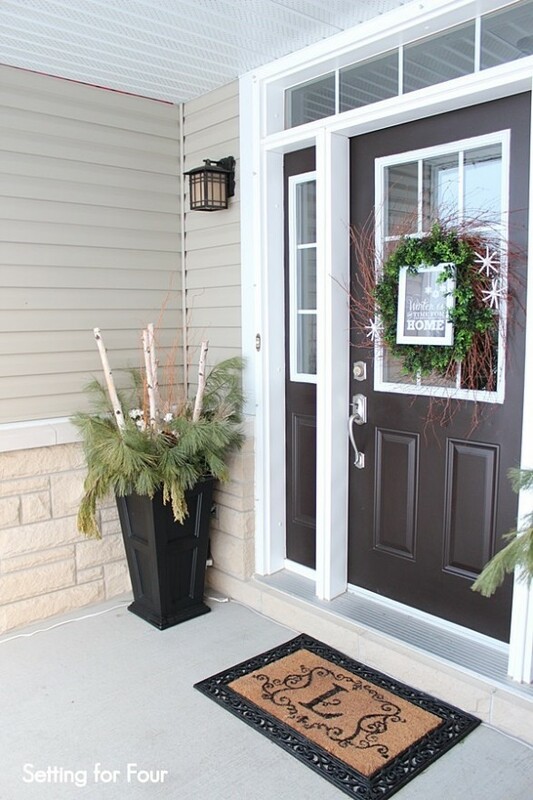 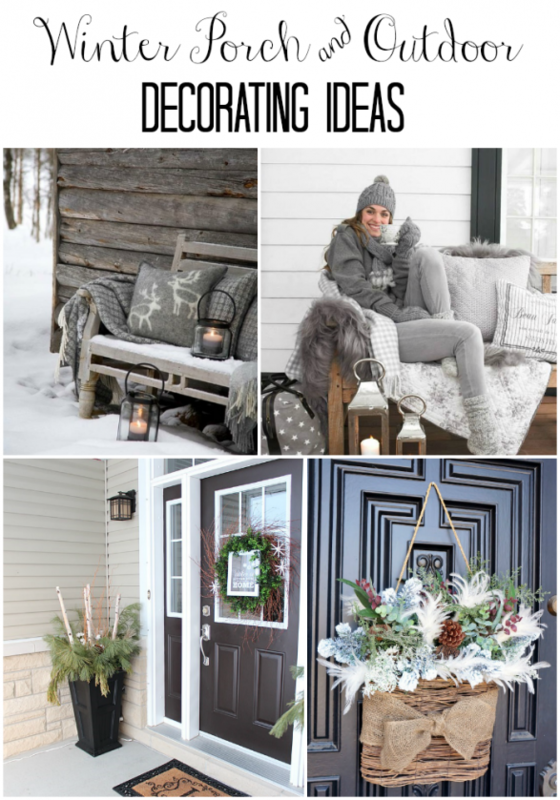 I love this unusual winter door decor idea! 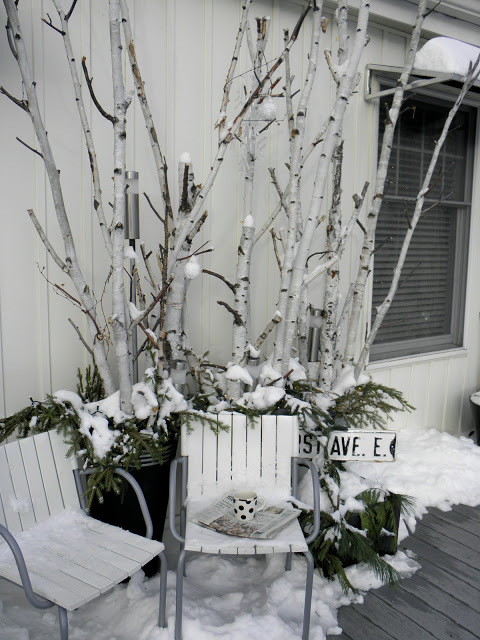 Birch tree clippings in black urns with evergreen branches. 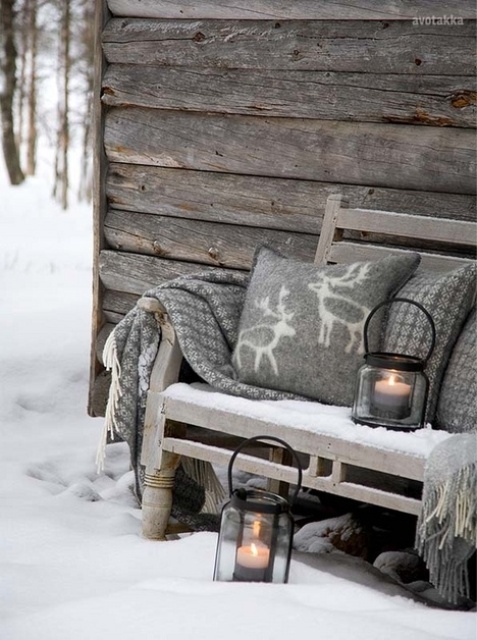 Black lanterns and cozy gray pillows and throw. 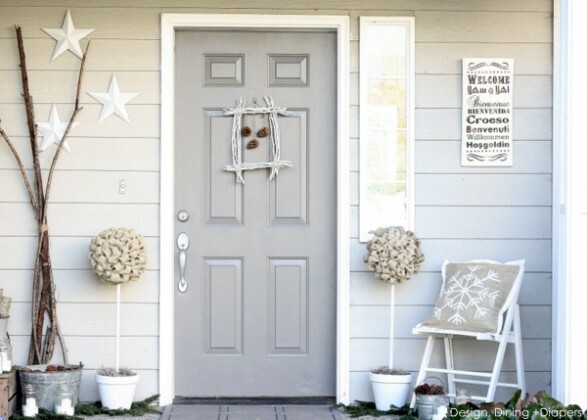 White, gray, and furry porch decor. 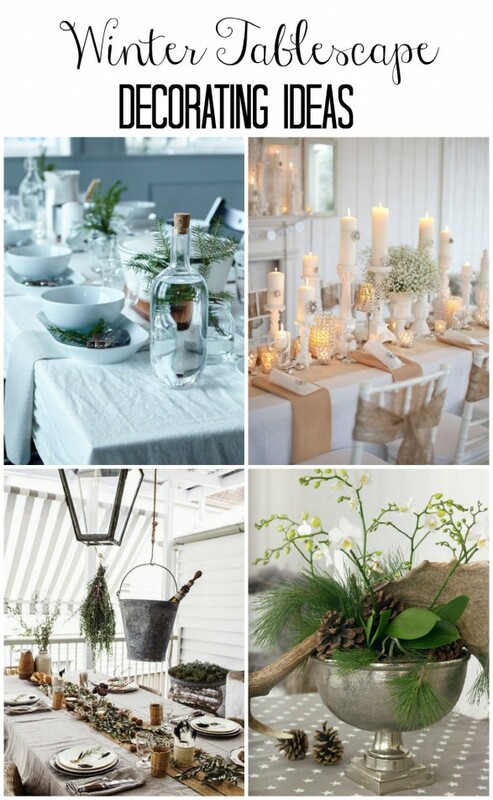 Hanging basket filled with wispy whites, frosted greens, and silver greenery. 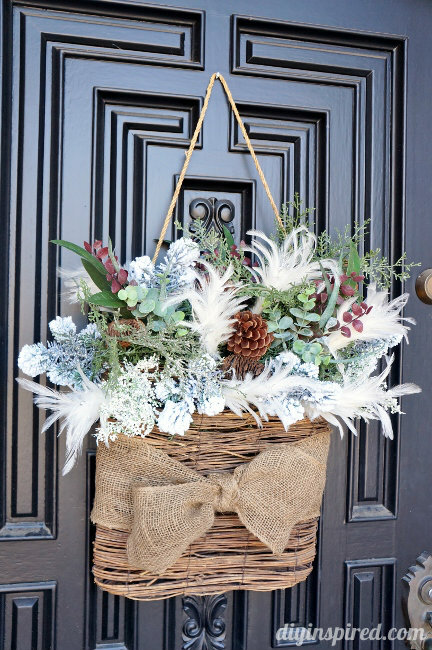 Cute DIY snowballs placed in basket on front porch. 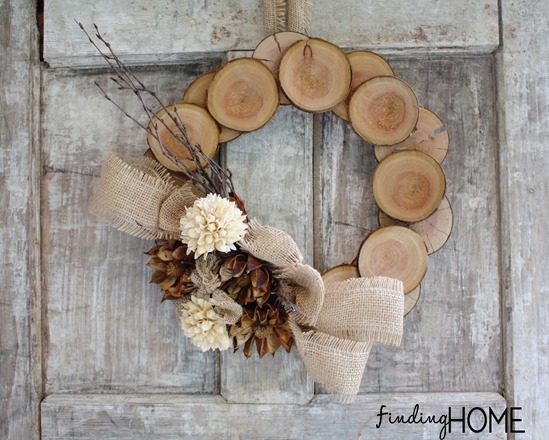 DIY wood slice wreath with burlap ribbon and dried flowers. 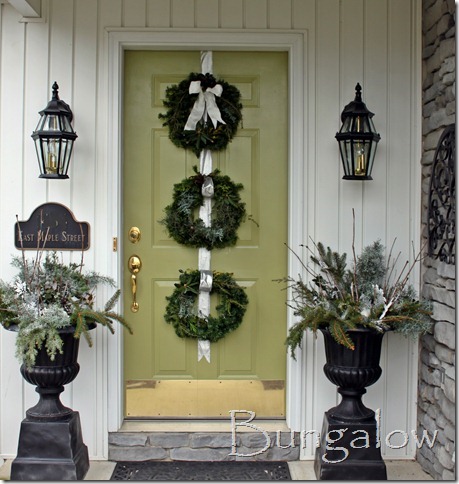 Evergreen wreaths with white ribbon and black urns filled with evergreen clippings and sticks. 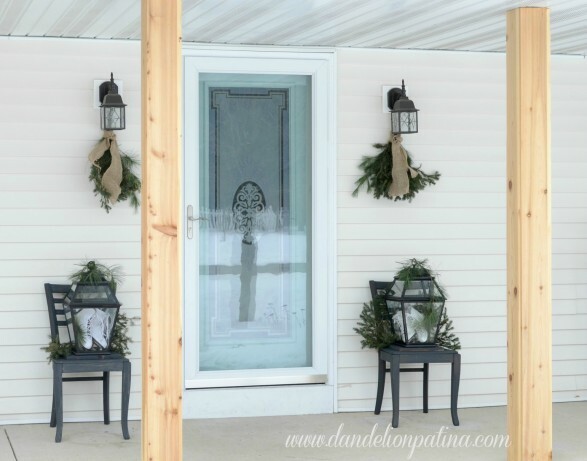 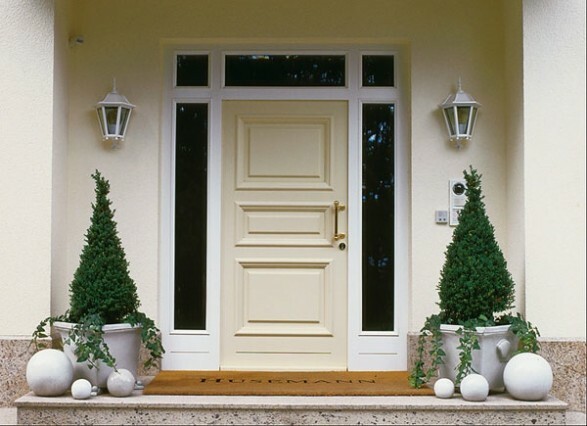 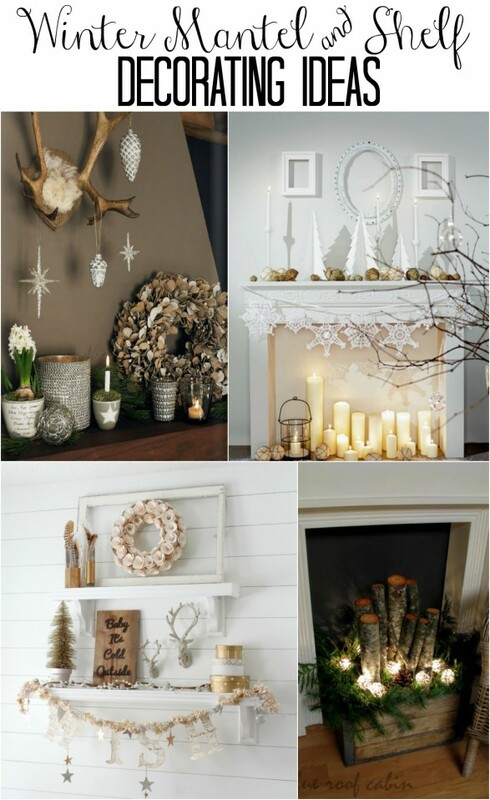 Winter front porch in neutrals. 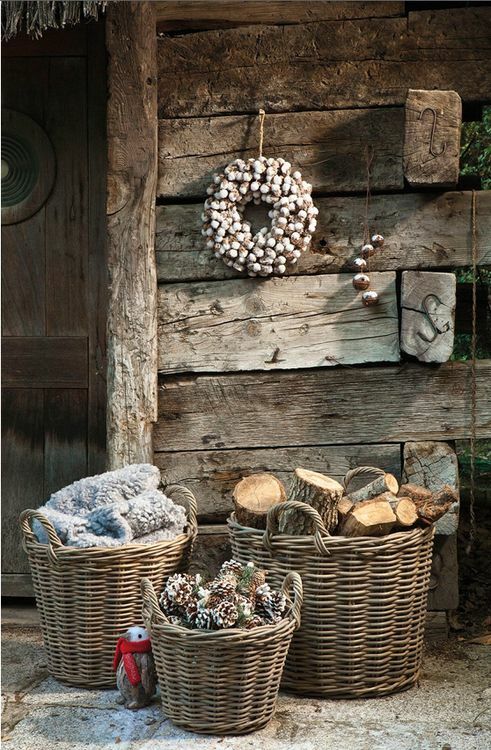 Baskets on porch filled with logs, blankets, and pinecones. 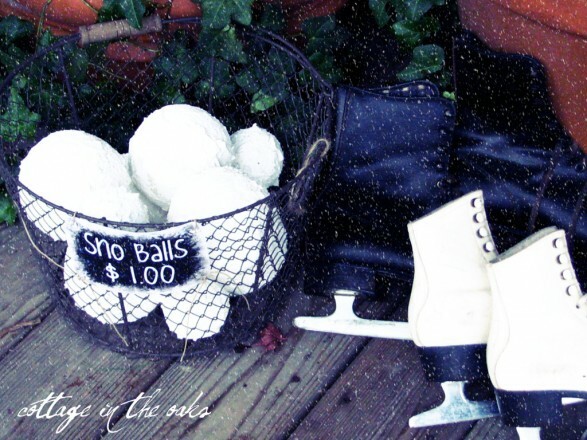 Lanterns on black chairs filled with ice skates. 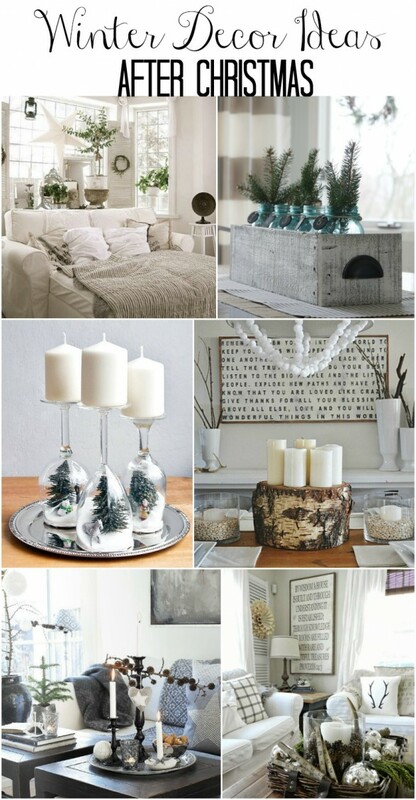 Evergreen trees in urns and white cement “snowballs”. 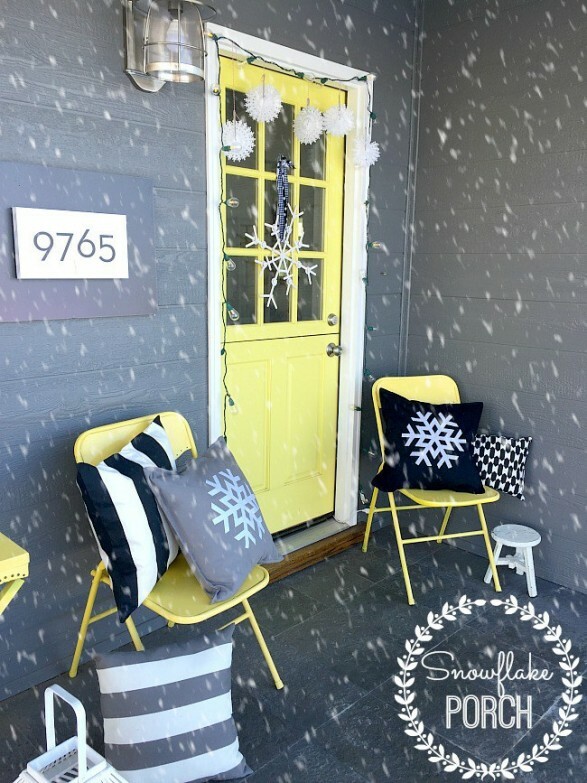 Stick snowflake wreath with snowflake pillows on porch.